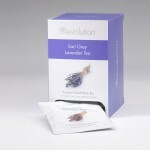 Revolution Tea is proud to present our newest line, Revolution Tea Foils. 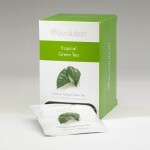 Pyramid Infusers provide depth and dimension to our traditional full-leaf tea favorites; Packaged individually in sealed foil wraps to insure your cup of tea will taste just like it should. Available in 12 flavours and packed per 20. 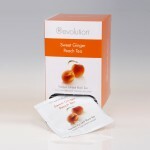 Revolution Tea's Sweet Ginger Peach is a flavor-packed, original tea made from fine Ce..
You are about to enjoy the most exciting green tea on the planet! 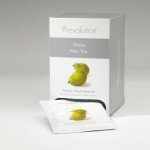 Revolution Tea's Tro..
Delicate and fragrant as a fresh-picked pear, this blend combines white tea, slivers of sweet pea..
Revolution Tea's award-winning Earl Grey Lavender adds a unique twist to a popular favorite. Ceyl..
Light and refreshing, White Pomegranate is perfect any time of day. Made from the finest Bai Mu D..